"Thorugh My Lens’’ tells the story of students making short film about democracy and human rights in Turkey. In spite of getting reactions from the society and local press, and various difficulties the encounter during filming, students continue to make films with conviction. 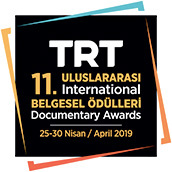 The documentary tells the story of the filming adventures of 72 students in 6 cities in Turkey making short films, while making the audience think what it is to be young and to struggle to make their voice heard.